Just dropping off a 'few' of my favorite Disney Photopass pictures! Memory Maker is definitely worth buying. If you need a price break, there are lots and lots of people who host shares out there. Someone purchases Memory Maker, then a group with similar travel dates split the cost. You just have to know where to look to find a share! 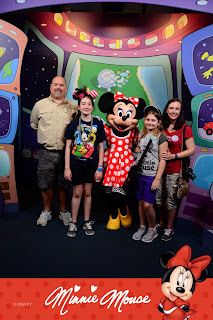 Since we had a late night at Disney After Hours, we slept in a bit on Friday and took our time getting moving. I thought that we would have had our fill of the Magic Kingdom by Friday, so we had planned to visit Animal Kingdom. 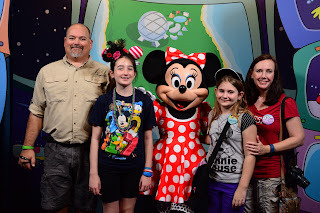 Both girls were so sad to leave MK Thursday evening that we decided to go back to MK and skip AK. 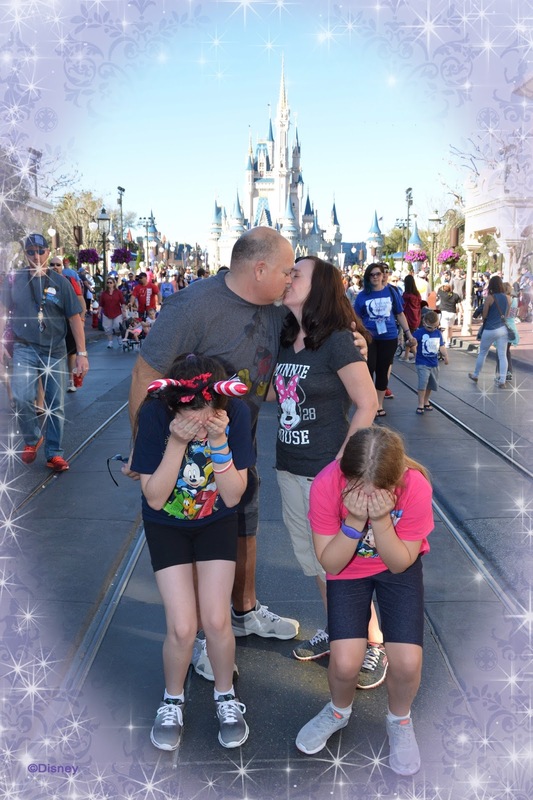 They wanted to see "Wishes" one last time as it is ending in May and being replaced by a new fireworks show. 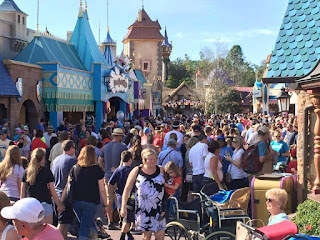 We ended up just hanging around Main Street for a while hoping to catch a glimpse of the Festival of Fantasy parade. We had a dining reservation at O'hana at 4:00, so we had to leave MK just as the parade was about to head down Main Street. Bummer. I'm glad we left when we did though because the monorail was down and we ended up having to wait for a boat. All was good though and we made it to our reservation just in time. O'hana was probably the best meal we had all week!! I do believe it will replace 1900 Park Fare for our dinner. We ordered off the kids' menu for Val and Roni just in case, but they both actually liked the food. Veronica didn't even eat her hamburger. O'hana is definitely worth doing again. 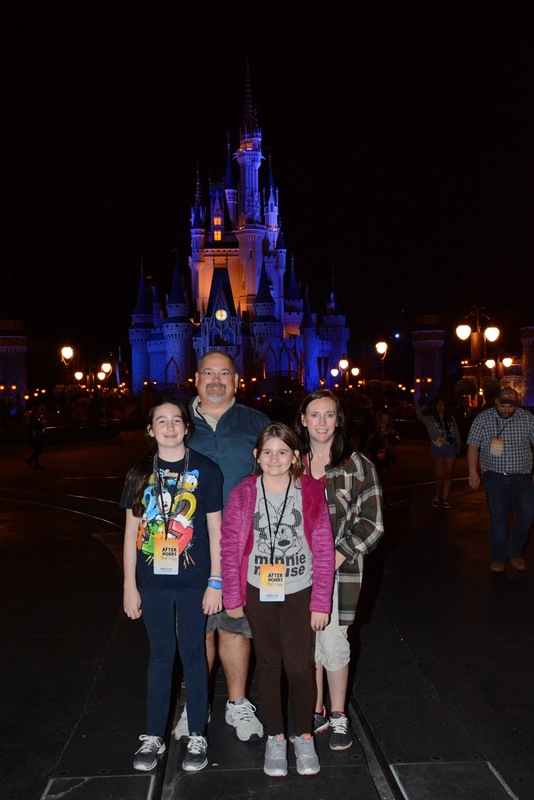 After dinner, we went back to Magic Kingdom for the night. We re-rode a few things, watched the dance party parade, and Val rode Space Mountain (by herself!) twice. I took Veronica shopping in the Emporium and we got a spot to watch Wishes for the last time ever. This is the first trip we were able to stay for the fireworks. Veronica has always been sensitive to noise, and they were much too loud. We've watched from the Ticket and Transportation Center before, but never up close. Both girls stood there teary-eyed when it was over. We hung back a bit and waited for some of the crowd to thin out before catching the ferry back to TTC. Saturday morning we packed up and headed out about 9:30am. Clint drove until we hit I-10 and I took over. He slept a bit while I drove for about 5 hours. We had hotel reservations to stop in Alabama for the night, but when we hit Pensacola, FL we decided to keep going and drive straight through. With both of us driving, it wasn't bad. We got back home about 10:30 Saturday night - whew! It was a great vacation.... I love me some Disney World!! Is it too early to start planning for 2018?? Tuesday it was back to the Magic Kingdom. It was a pretty HOT day as temps got close to 90 degrees. Yes, in February. Like Epcot, the Magic Kingdom was incredibly busy. We tried to do inside attractions and not be in the sun too much. We took a lot of breaks! 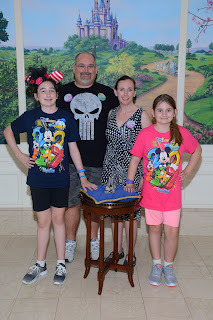 Our dinner reservations were at 1900 Park Fare at the Grand Floridian Resort. We have dined here nearly every trip and it has been a favorite! Prince Charming, Cinderella, Lady Tremaine, Anastasia, and Drucilla visit your table. It took us a while to find it, but the entrance has been moved to the other side of the lobby. There's also no place to sit while waiting for your table. There were two benches, and a crowd of people standing. Kids sitting and laying on the floor. There is plenty of empty space, so I don't know why there aren't more benches. We'd been walking in the hot park all day, and the last thing I wanted to do was stand for a half an hour waiting for dinner. Unfortunately, this may be our last visit to 1900 for a while. The food was not impressive at all and it seemed mostly side dishes on the buffet. Not that it was bad, but the menu has been paired down a lot. The desserts were yummy. The characters were great as usual, but with a $180 price tag, it just doesn't seem worth it. Wednesday was our REST day! I purposely left it wide open to do something else or nothing. We drove over to a close by outlet mall because I wanted to check out the Disney Character Warehouse. If you get the chance - GO! It is merchandise pulled from the parks and 50% off or more. I saw Halloween and Christmas t-shirts for $1.99! Tons and tons of great Disney merchandise at a fraction of the original cost in the parks. We stopped for lunch and went back to the condo for some pool time. Did I mention how HOT it was? We had a nice afternoon hanging out in Windsor Hills' pool. Thursday was the day I had been waiting for - We had tickets to the Disney After Hours event. 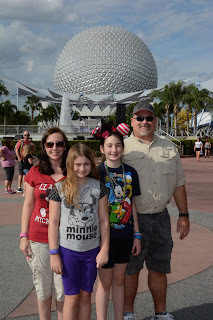 We tried to sleep in since we knew we'd have a late night and we went back to Epcot for the afternoon. Since this was our last Epcot visit, we tried to knock out our must dos like Test Track and Soarin'. 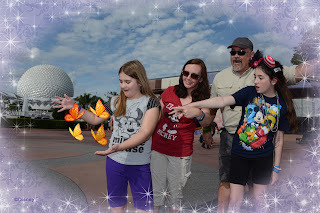 Both girls are crazy about Figment, so we had to do that -- again. It was a pretty easy afternoon. A cool front was approaching, so the wind picked up a bit and temps started to drop. Clouds rolled in but thankfully it only sprinkled a little bit. It went from almost 90 to being in the 50s Thursday night! 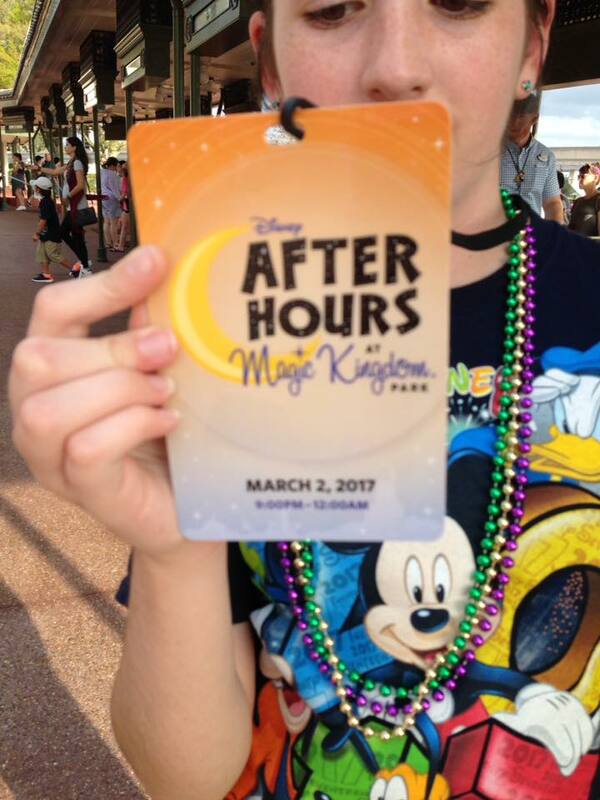 About 4:00 we started to make our way to the Magic Kingdom for the After Hours event. We are back from The People Trap created by a Mouse - aka Disney World!! This was one of the best Disney trips we have ever taken, and that says a lot considering we have gone almost yearly since 2009. 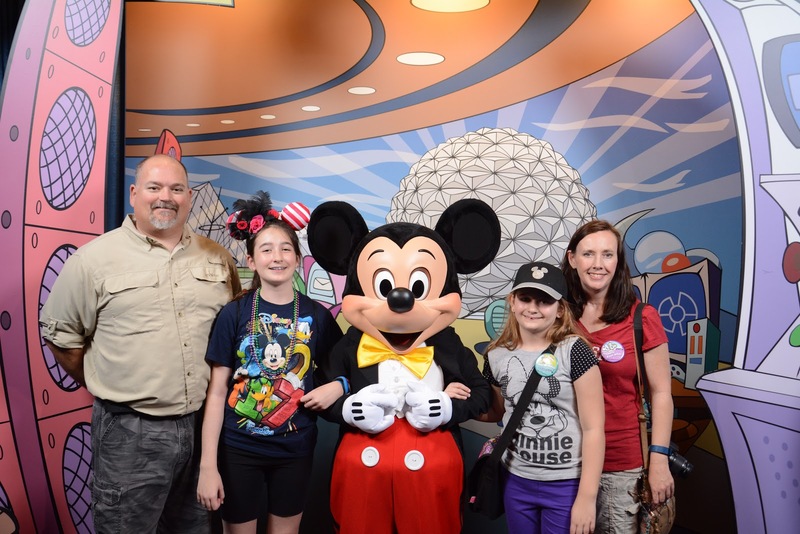 I never thought we would be 'those people' who are big on Disney vacations, but somehow we are. The kids love it so much and I really like going there, too. Airfare has gotten ridiculously expensive from New Orleans to Orlando, so we opted to drive this time. It's about a 12 hour drive. The kids skipped school on Friday, 2/24 (shhhh) and we drove a little more than half way to Tallahassee, FL for the night. 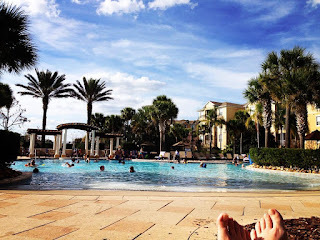 Saturday we finished our journey and arrived in Orlando a few hours before check in at our condo. We hit the Super Target for groceries and wasted time in the Dollar Tree before going to Windsor Hills to check in. 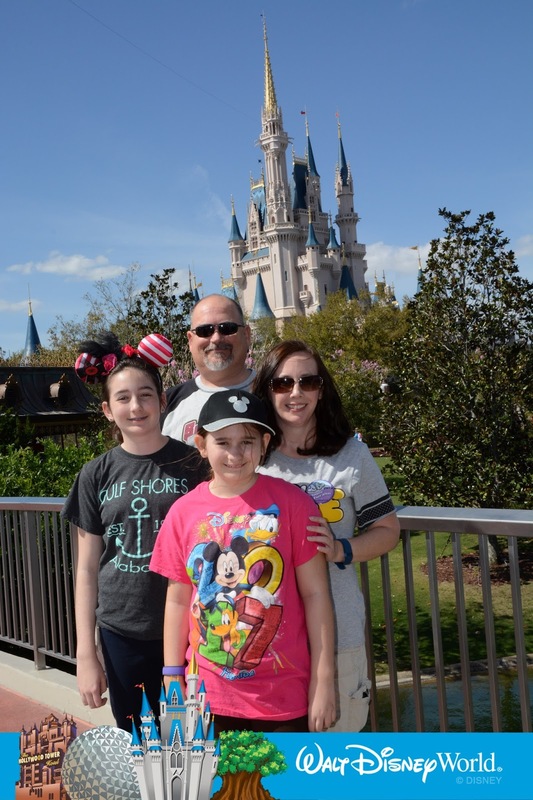 Windsor Hills is our usual resort to stay in as it is a short 10 minute drive from Disney and is much easier on the wallet! Our 3 bedroom, 2 bath condo was less than a value hotel room at Disney. I'd also rather drive 10 minutes, pay $20 to park, then catch the monorail or ferry rather than stand in line for an hour to get on a Disney bus. 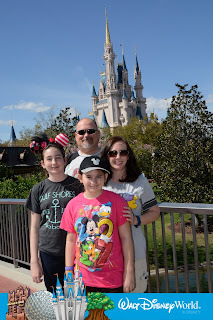 Sunday was our first Magic Kingdom day!! That morning was a half marathon race, and luckily it seemed many people were occupied with that as MK was empty. We got there prior to park opening mainly to see the new welcome show on the castle stage. I am really, really sad to see the train station welcome show end. The new show was cute, but it lacks the magic of the train station show. Sigh. Anyway, it was a beautiful Florida day and it wasn't really busy until after lunch when the race people started to arrive. We rode almost everything we wanted to do that first day with very little wait. 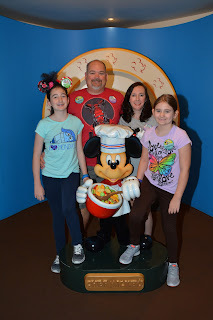 Monday we had an early breakfast at Chef Mickey's, which is a favorite of ours. The buffet is great and you can't go to Disney and not meet the fab five - Mickey, Minnie, Donald, Pluto, and Goofy. 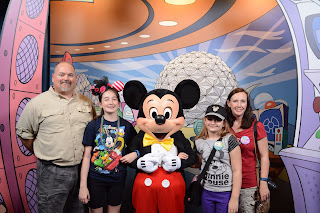 After breakfast we went to Epcot and the plan was to stay until closing to see Illuminations. Epcot was slammed and it was starting to get hotter outside. 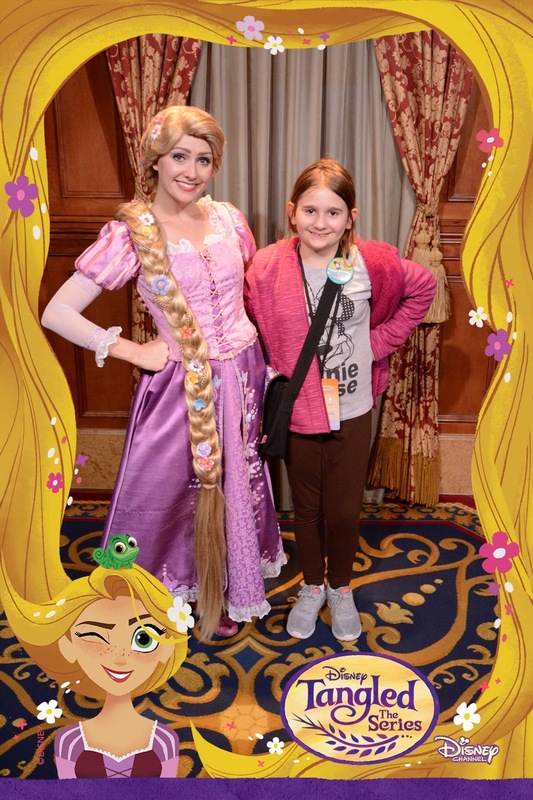 I managed to snag Fast Passes for the new Frozen ride, which was a disaster. There are two small drops, which scared the bejesus out of Veronica. She screamed and screamed, right in my ear. Ow. It took her a while to calm down so we walked the entire World Showcase until it was time to get a spot for the fireworks. I actually laid down on the cement for a while because I was so tired. It was a long, long day! !